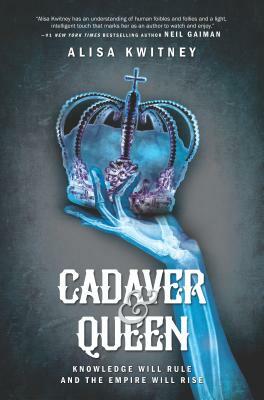 Teens meet to discuss Alisa Kwitney's Cadaver & Queen. When Elizabeth Lavenza enrolled at Ingold as its first female medical student, she knew she wouldn't have an easy time. From class demands to being an outsider among her male cohorts, she'll have to go above and beyond to prove herself. So when she stumbles across what appears to be a faulty Bio-Mechanical—one of the mechanized cadavers created to service the school—she jumps at the chance to fix it and get ahead in the program. Only this Bio-Mechanical isn't like the others. This one seems to have thoughts, feelings . . . and self-awareness. Soon Elizabeth realizes that it is Victor Frankenstein, a former student who died under mysterious circumstances. Suddenly Elizabeth finds herself entwined in his dark secrets—ones he might have been murdered to keep buried.